Sometimes, it's not wise to mess with Mother Nature. 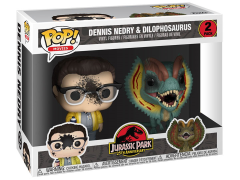 In the 1993 Jurassic Park film, Dennis Nedry meets his fate when he encounters the spitting dinosaur known as the Dilophosaurus. 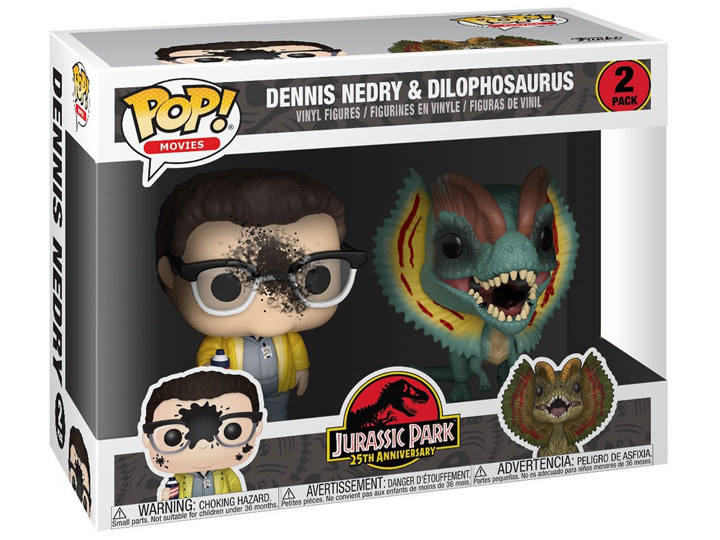 Dennis and his dino foe face off again in this exclusive 2-pack of 3 3/4-inch figures featuring the duo in an incredible goo-splattered deco! 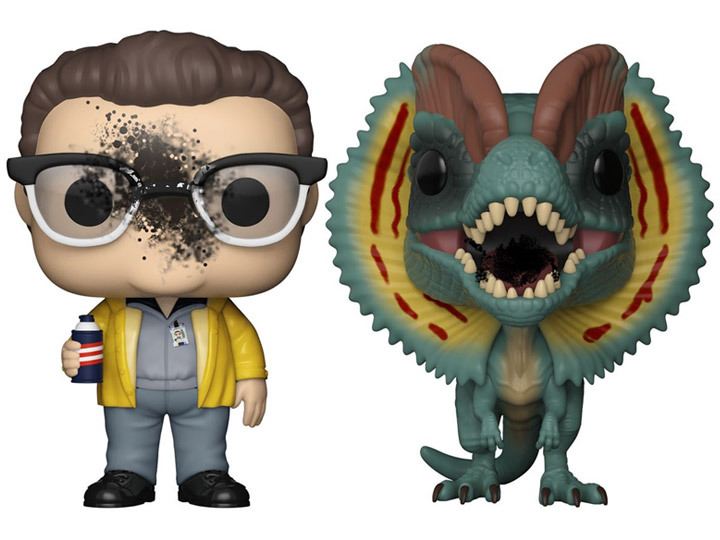 The Jurassic Park Nedry and Dilophosaurus Goo-Splattered Pop! Vinyl Figure 2-Pack comes packaged in a window display box, ready for play or display. 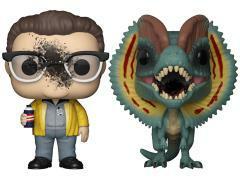 Nedry is shown with a toxic blast of goo in the face, while the Dilophosaurus has the venom on his tongue.